If you are catering for more than ten people, chances are you will have at least one food allergy in the group. The highest number of allergies we have ever had was 25 people out of a group 75. For the record that is 33% of the group! Package or plate your dietary requirement food separately. Never have them in the same space as any allergens. This could lead to cross-contamination that for some allergies is just as harmful as if you made the food with that item (the most common allergens that spring to mind are cucumber, wheat and nuts). If possible, have designated utensils for that specific allergy OR be pedantic about washing your utensils and equipment between uses. Warn the person with allergy if you have a mixed-environment kitchen. If possible, label the dietary option with the person’s name. Often these dietary foods look amazing and can be taken by those without the specific allergy. A very sad experience. DIY Fun Easter Sunday Lunch Menu: Hop To It! 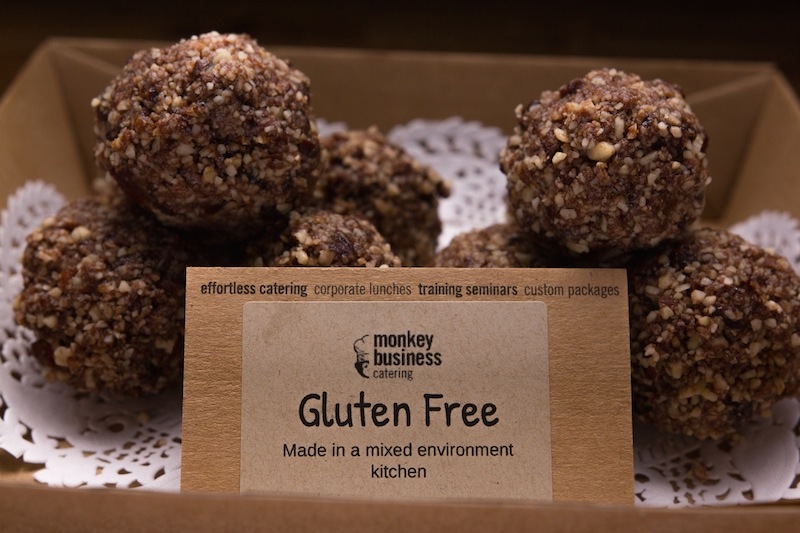 Monkey Business Catering © 2018. All Rights Reserved. ABN 61 128 134 134.